Picture the scene. You’re on your favourite lake, looking for the perfect spot to drill. Last week one hole you were fishing was bringing in catch after catch. But where exactly was it? 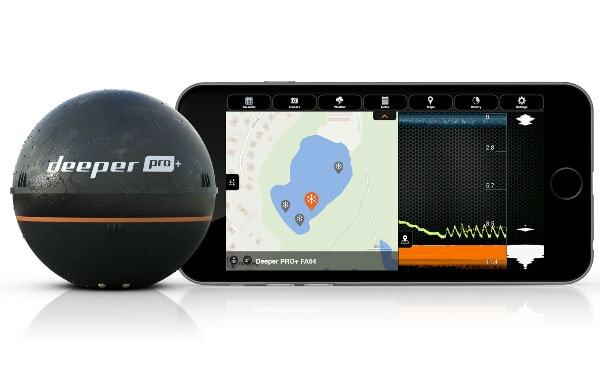 GPS Ice Hole Marking, the latest addition to the Deeper App’s Ice Fishing Mode, has the answer. This feature records and saves any ice holes you fish directly onto a map. For each new location you fish, it will mark a new spot on your map. What’s more, any data your Deeper picks up at that location will be stored. So at the end of your day’s fishing you have a detailed record of every spot you fished all mapped out for you. Then next time you are at the same site, use the map, which is available offline, to find the best spots straight away. And another new app feature, Adjustable Offline Maps, makes accessing your map even easier. Simply click the icon and then drag the map across your screen as far as you want. And when you’re done with it, it’s gone in one swipe.